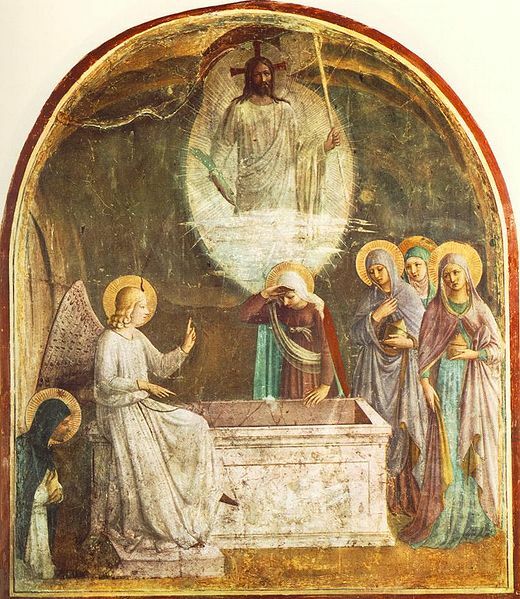 Holy Week, the Triduum and then the Easter Octave...a week of deep liturgical splendour. 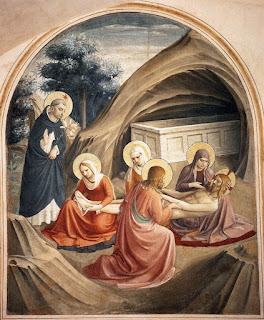 In the 15 century, Fra Angelico painted a number of scenes for this time of year. As a devoted son of St Dominic, he has our Holy Father present at key scenes. Let us put ourselves there too. Some beautiful artwork on display in Canberra. See the crucifix in the prow of the boat? Sister Mary Thomas beams a smile! Sister Mary Martin features in the new video about the school In Wagga Wagga in which the Sisters teach part time, covering Religion, Senior Theology and Philosophy, Year 7 - 10 Literature and several Maths, Music and Elective classes. (See TYPICAL DAY for how this fits into daily life.) The 130 students from K - 12 are a constant source of joy as they grow in their faith and develop as Christian persons. Bishop Umbers encourages parents at the recent NACF Conference, Albury. was covered by an article in the Catholic Weekly.